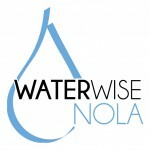 The Louisiana Urban Stormwater Coalition is a non-profit organization formed to assist parishes, municipalities, neighborhoods, and Small MS4s in meeting the requirements of their stormwater permits. Formed in concert with Region VI EPA Stormwater Office and the Permit Division of LDEQ, the goals of the group are to facilitate the successful meeting of the Urban Stormwater Permit requirements through sharing of information, analysis, and programs among members of the group. The Coalition promotes collaboration among stormwater managers, educators, engineers, landscape architects, planners, and regulators to develop solutions that maximize return on investment of time, effort, and funds. It also provides small MS4s, who have limited staffs and budgets, access to effective solutions developed by larger municipalities with common problems. This network will foster rapid development, distribution, and acceptance of custom solutions that are applicable to Louisiana.